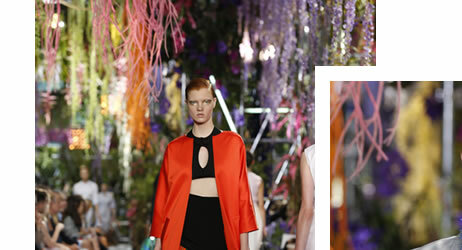 For spring/summer 2014, Raf Simons took his ready-to-wear catwalk to a mystic garden setting. Garlands of wisteria were mixed in and something untamed emerged that looked like a bewitching alien objects protruding from an overflow of floral decorations. 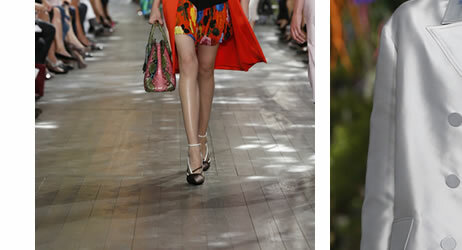 Necklaces mirroring the bewitching plants of the set design crept along necks of the models. The surreal design made a fitting allegory for the collection. 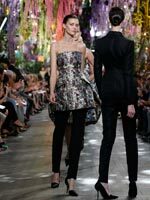 Because, for an audience expecting the all-too classic Dior image, the Spring/Summer 2014 collection could also be described as surreal. 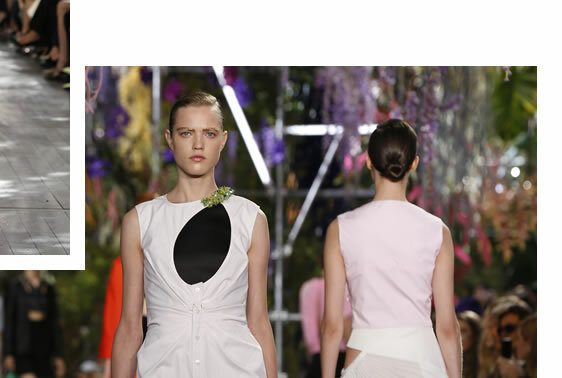 Very classic looks were metamorphosed into a Dior reinterpretation. Black austere jackets were equipped with club badges and college elements. Pleated playful organza skirts in floral patterns met accurately cut and knitted tops, pastels were fused with vibrant colours, and transparent flowing materials were combined with the rigid textures of double-breasted vests and jackets. 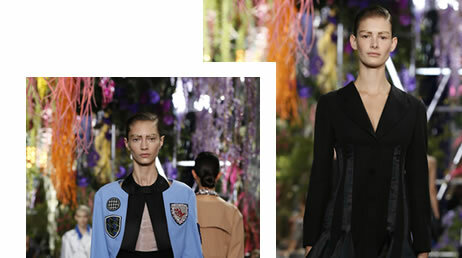 Prim, traditional Dior emerged into something untamed, wild, and voluptous. 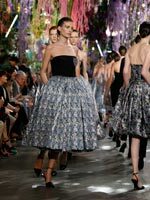 Dior went to Wonderland and it was a fantastic journey!